All three of my kids have been sleeping through the night for the past six months now, which has done wonders to improve my quality of life. But then, probably because I dared to dwell on it too long, or had the thought to mention my good fortune, the stomach bug hit. 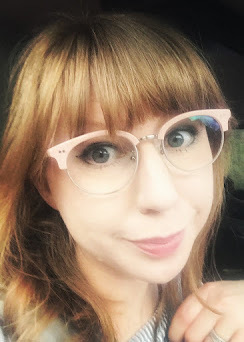 I had two nights of three hours of sleep each, followed by two nights of sleeping on the floor next to a sick two-year-old who was up every thirty minutes. As I've fumbled through the past few days, groggy and wishing desperately for a nap, I've found myself wondering how I ever managed to get by on such little sleep when both babies were waking up during the night. I've dug deep into the reserves of my memory to find the strategies that kept me awake and functioning when sleep was not easy to come by. Turns out, there's some real gems that definitely work. I'm not a coffee drinker, and I haven't had soda or energy drinks since my early college days, over ten years ago. 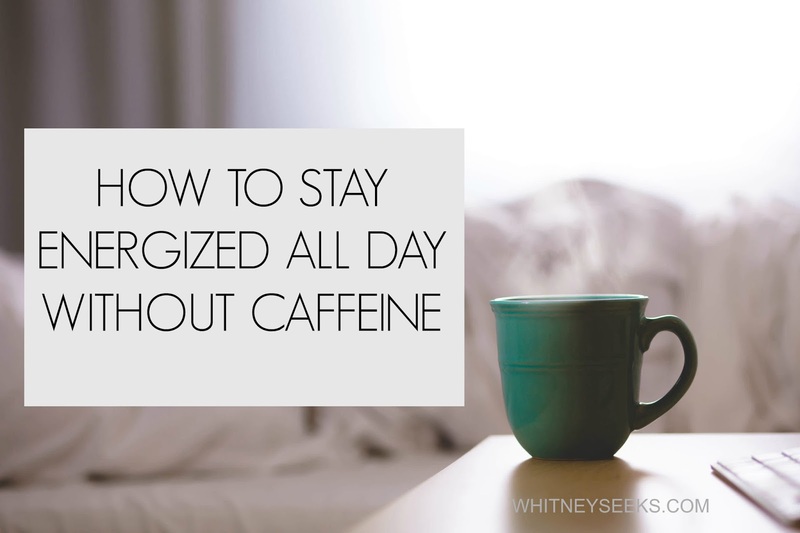 Staying energized without caffeine is entirely possible. If you're skeptical, or if you're looking for ideas to keep you functioning without a second (or even first) cup of coffee, keep reading. You know the benefits of water, right? Staying hydrated is key to keeping your body at optimal performance. This has been one of the most simple changes for me, with the greatest impact. I aim for a gallon a day. This eliminates headaches and fatigue, I think clearer, and I even have a little more energy to spare (even running on 3-4 hours sleep). Regular exercise is, admittedly, a harder habit for me to form than drinking water. I'm working at it, though. Just 20-30 minutes a day (in my living room, kid's room, kitchen, wherever) is enough for me to feel like I'm not going to crash. It lifts my mood, too, which helps me to not dwell on how exhausted I am. If you can't fit in a solid stretch of time for a workout, a few minutes here and there still work wonders. Run in place, jumping jacks, and planks can be done waiting for water to boil. Walking lunges are a great way to get across the house to change the laundry. They're also an equally good way to avoid folding laundry. When your body is lacking a crucial pillar, sleep, it's important to ramp up the other components it needs to run. Fueling with nutritious, nourishing food is vital. It's not as convenient to cook a meal as opposed to grabbing a piece of toast, or a poptart, but then again, neither is crashing at 2:00 in the afternoon. Eating nutritious food doesn't need to be difficult: scramble an egg, put peanut butter on your toast, buy veggies pre-sliced. Additionally, be aware of foods your body doesn't respond to as well. For me, too many grains leave me feeling bogged down, as does sugar. If you choose to not eliminate foods that don't leave you at your best, at least wait to eat them toward the end of the day, so you're not as likely to crash before dinner. Okay, yoga. But if that has you rolling your eyes because if you have the time for that, you'd rather be in bed, consider focusing momentarily on breathing and maybe a pose or two. A few deep breaths with your eyes closed can clear your mind. Lay on your back with your feet up against a wall and your arms outstretched for just a few minutes and it's almost as good as a thirty minute nap.